We are among one of the best wholesaler and exporter of Monel 400 Pipes in the market. Customers can avail the large range of products in competitive prices. Best quality raw materials are indulged in making of all our products. Those too are purchased from reliable vendors. Monel 400 is a nickel-copper alloy (about 67% Ni – 23% Cu) that is resistant to sea water and steam at high temperatures as well as to salt and caustic solutions. Alloy 400 is a solid solution alloy that can only be hardened by cold working. This nickel alloy exhibits characteristics like good corrosion resistance, good weldability and high strength. A low corrosion rate in rapidly flowing brackish or seawater combined with excellent resistance to stress-corrosion cracking in most fresh water and its resistance to a variety of corrosive conditions led to its wide use in marine applications and other non-oxidizing chloride solutions. This nickel alloy is particularly resistant to hydrochloric and hydrofluoric acids when they are de-aerated. As would be expected from its high copper content, alloy 400 is rapidly attacked by nitric acid and ammonia systems. Monel 400 has great mechanical properties at subzero temperatures, can be used in temperatures up to 1000° F and its melting point is 2370-2460° F. However, alloy 400 is low in strength in the annealed condition so, a variety of tempers may be used to increase the strength. 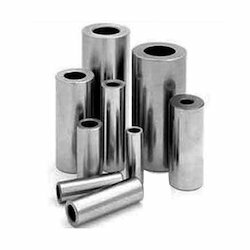 Another range of pipes offered by us are Monel 400 ERW Pipes, they too comprises of premium quality raw material and capable enough to give the desired services to the clients. We always try to indulge the features required by the customers and able to provide them with the best services as per there desire and necessities. Our range is available at affordable and convenient prices. 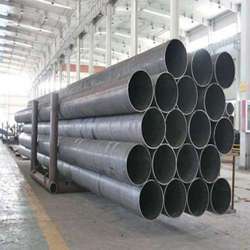 Another range of pipes offered by us are Monel 400 Welded Pipes, they too comprises of premium quality raw material and capable enough to give the desired services to the clients. We always try to indulge the features required by the customers and able to provide them with the best services as per there desire and necessities. Our range is available at affordable and convenient prices. 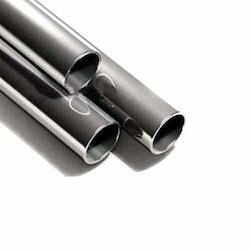 Looking for Monel 400 Pipes ?